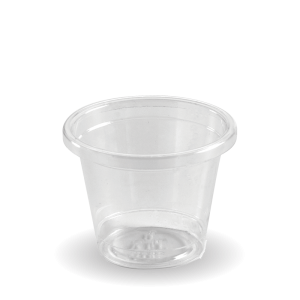 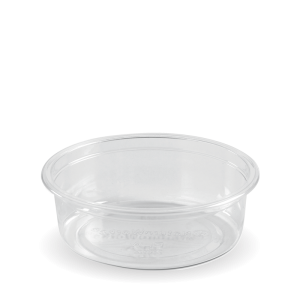 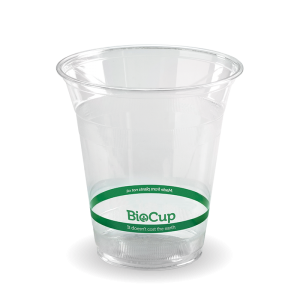 The carbon footprint of producing Ingeo™ bioplastic is up to 75% smaller than conventional plastics such as PET. 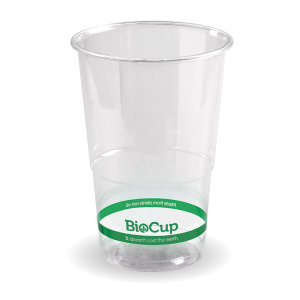 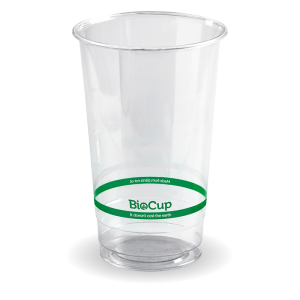 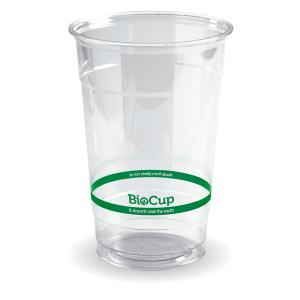 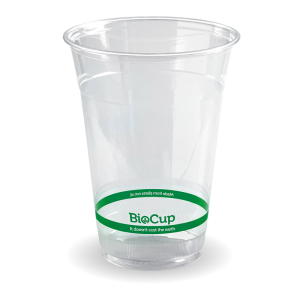 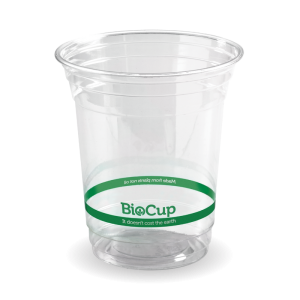 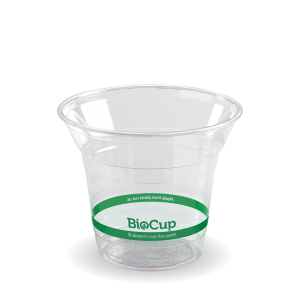 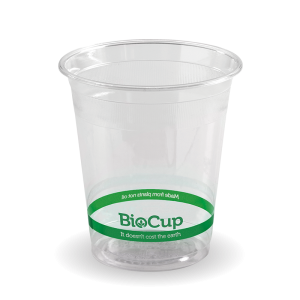 These cups are also compostable in a commercial facility. 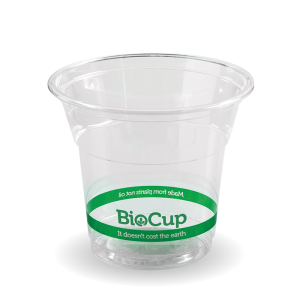 Bioplastic does not have suitable oxygen barrier properties to store food for more than a few days.